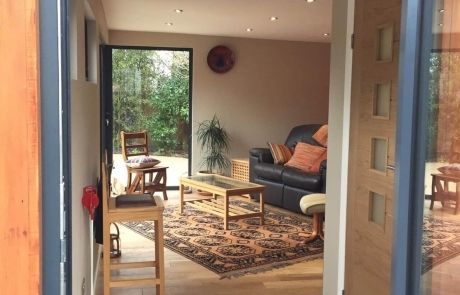 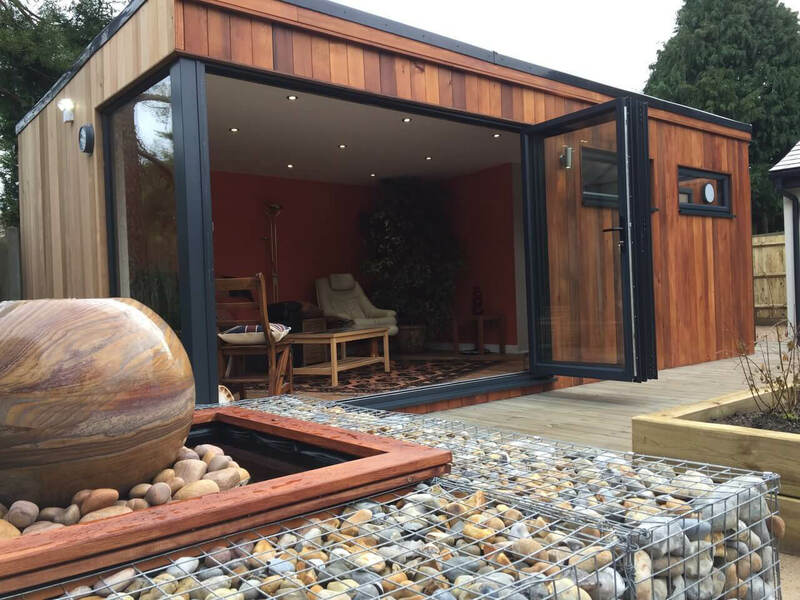 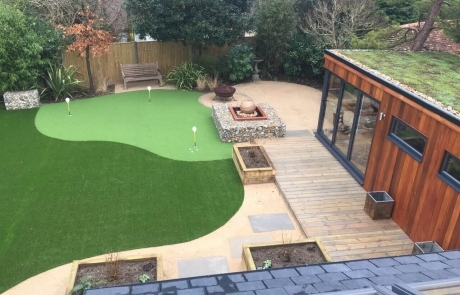 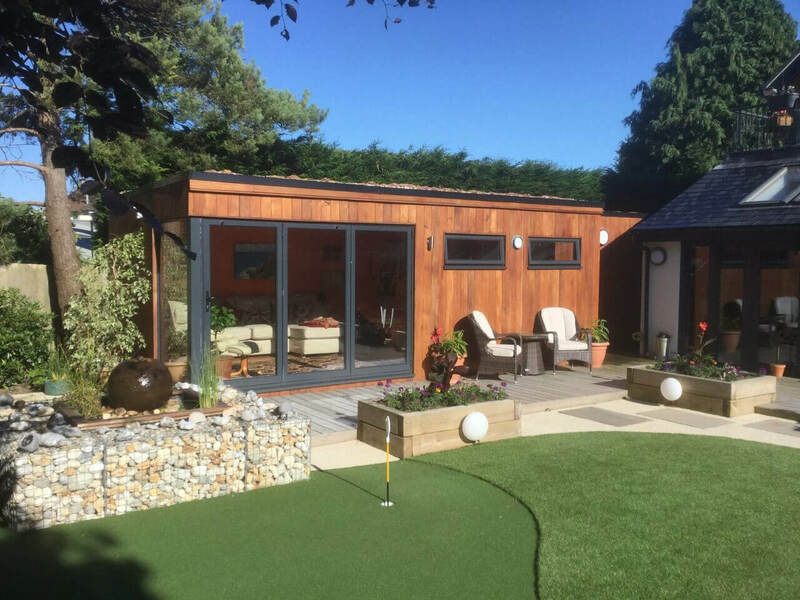 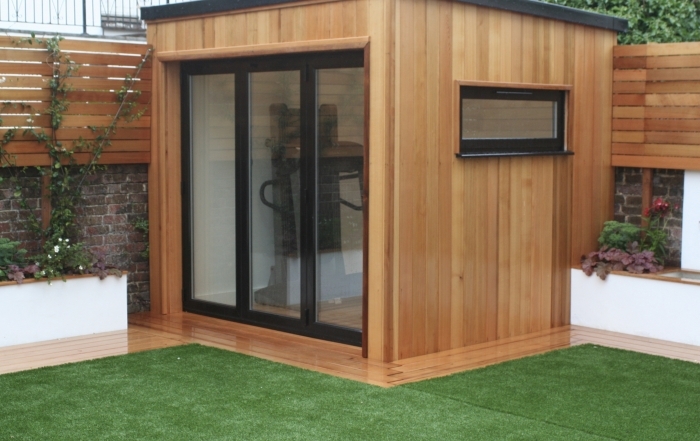 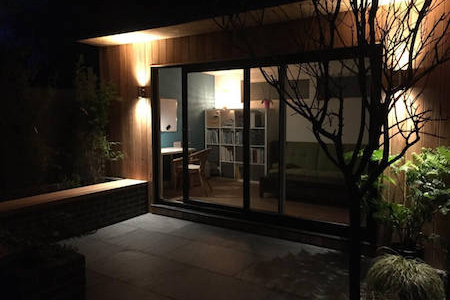 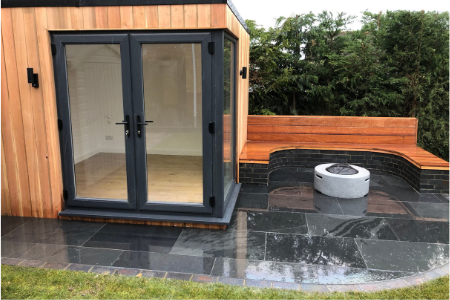 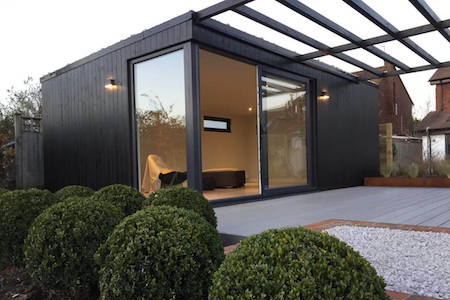 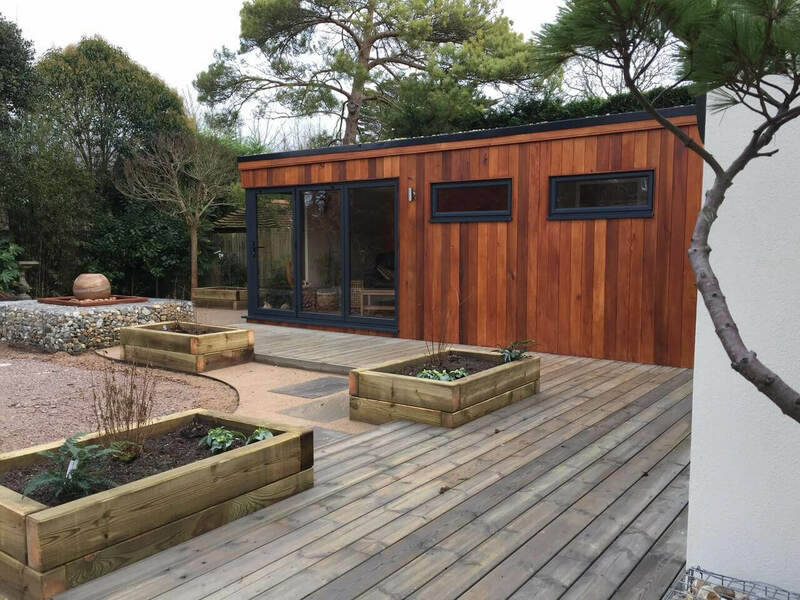 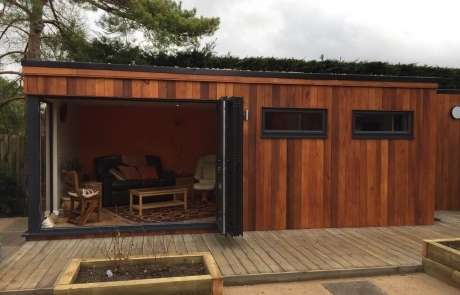 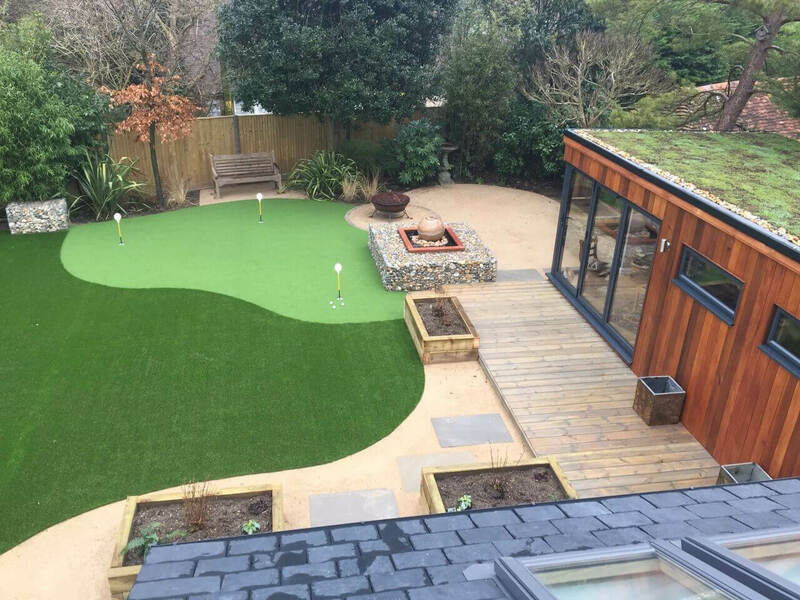 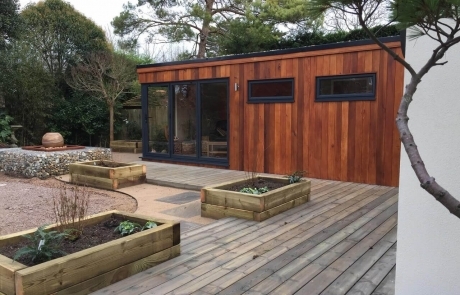 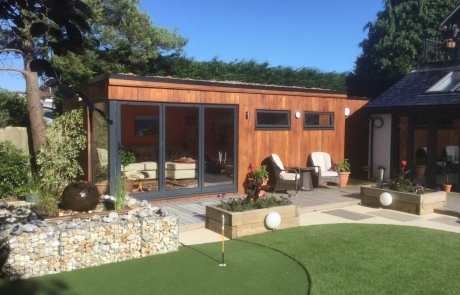 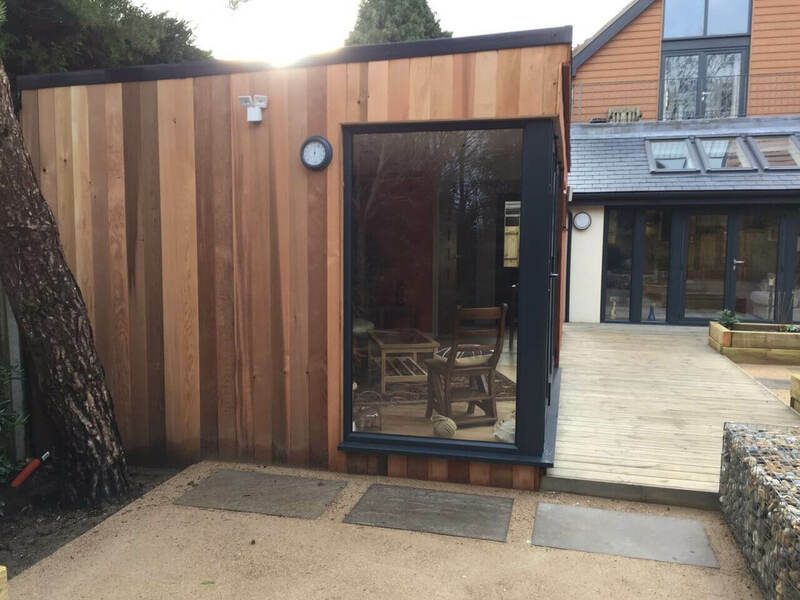 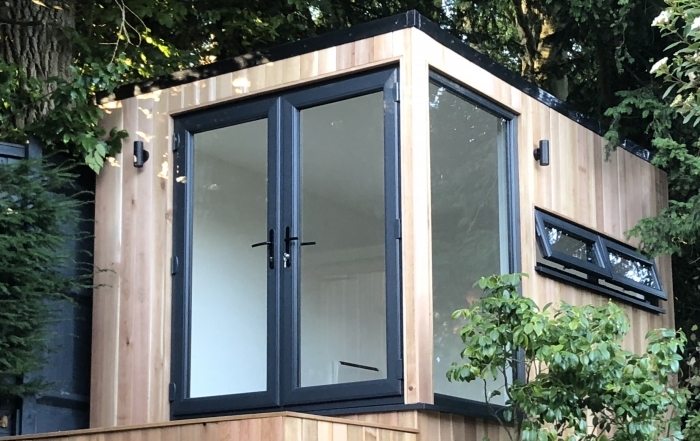 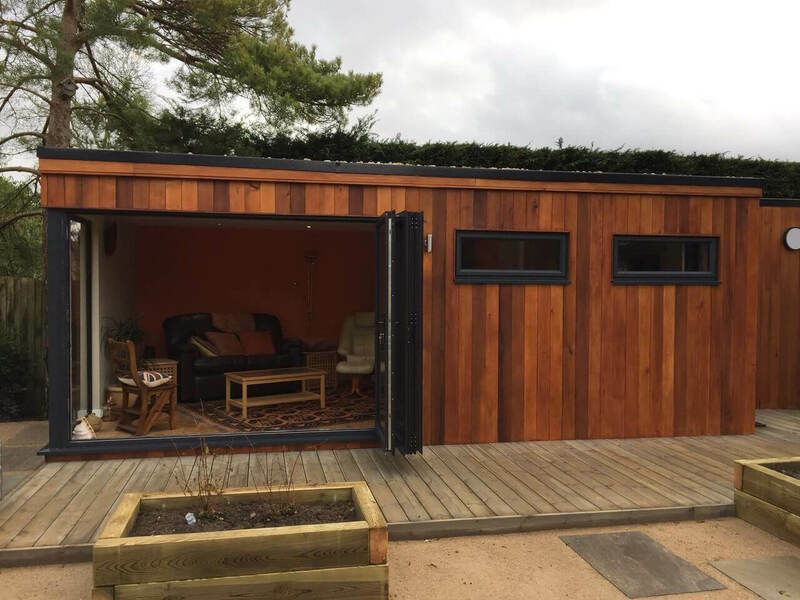 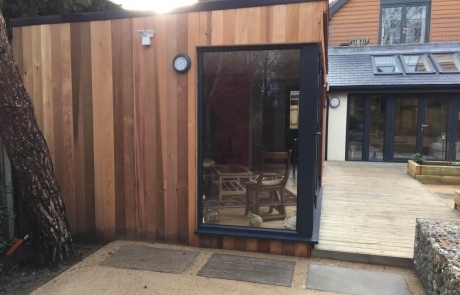 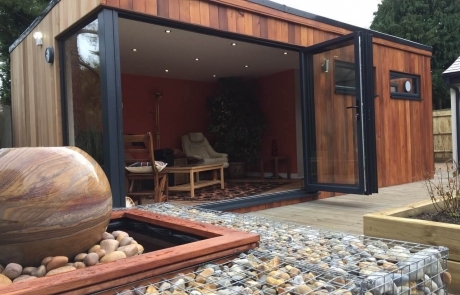 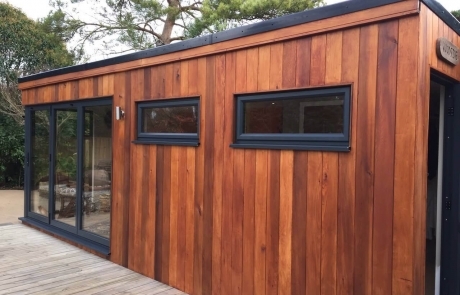 One of our largest garden studios to date, measuring 10m x 4m, was built for Chris in Steyning to be used as a gym and sauna room. 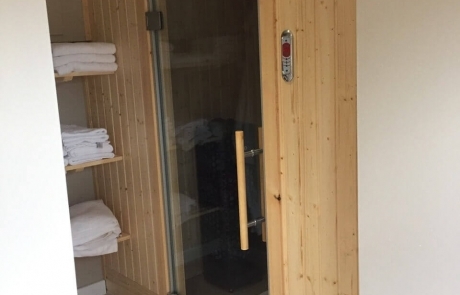 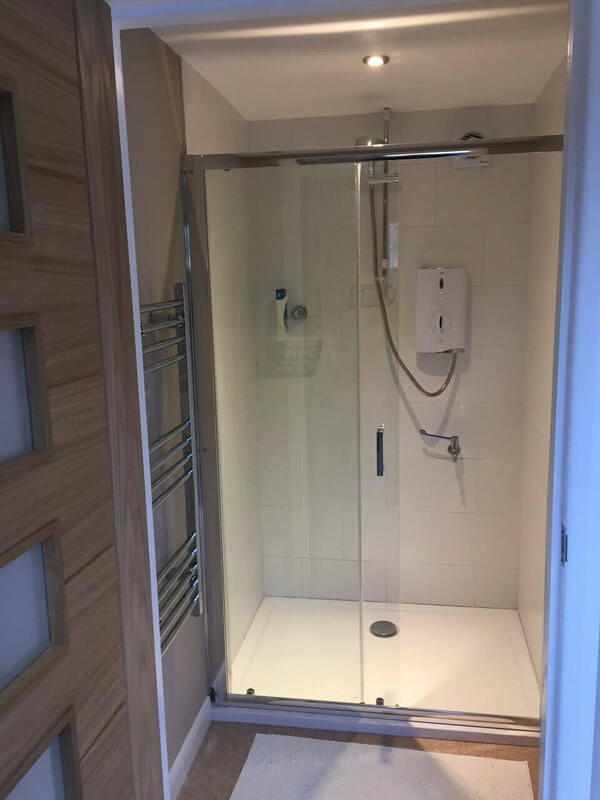 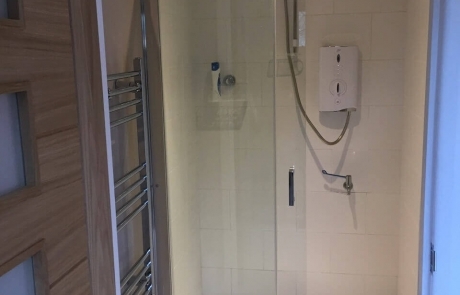 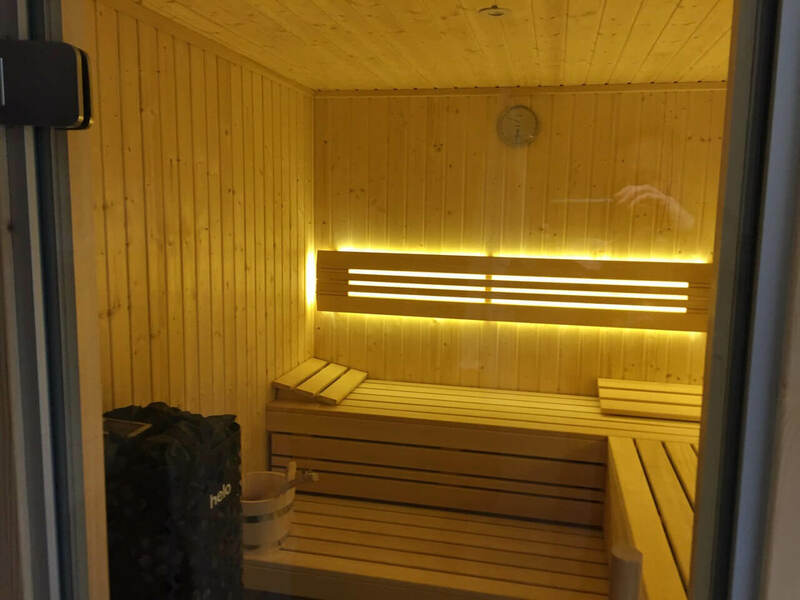 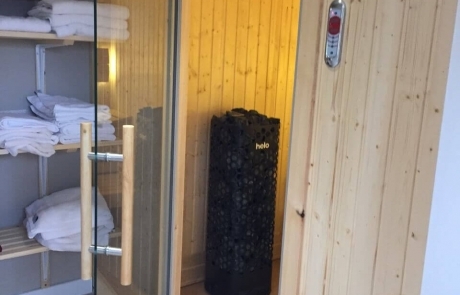 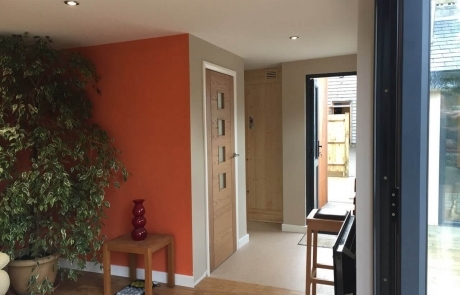 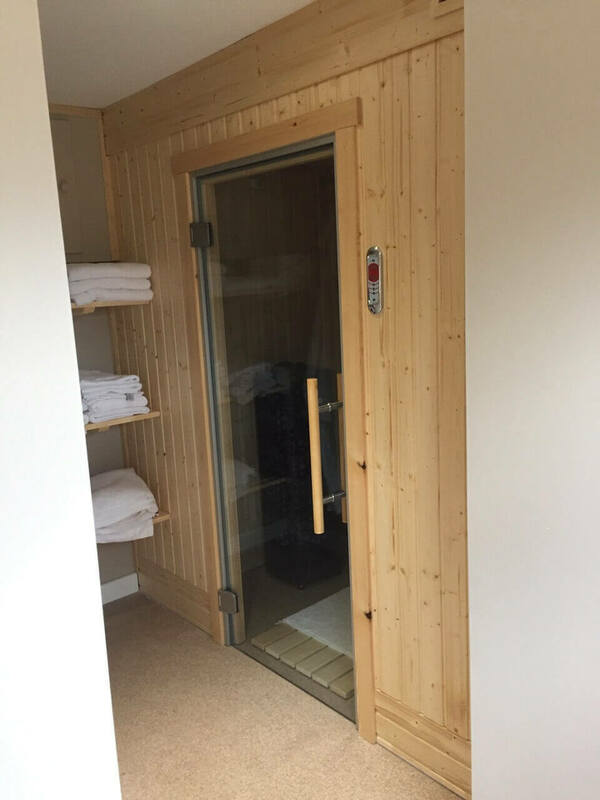 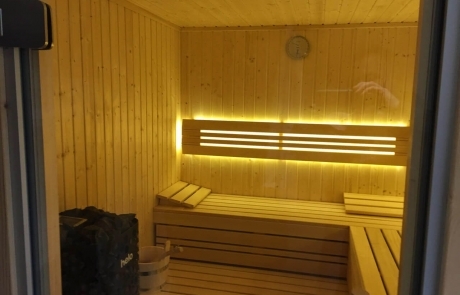 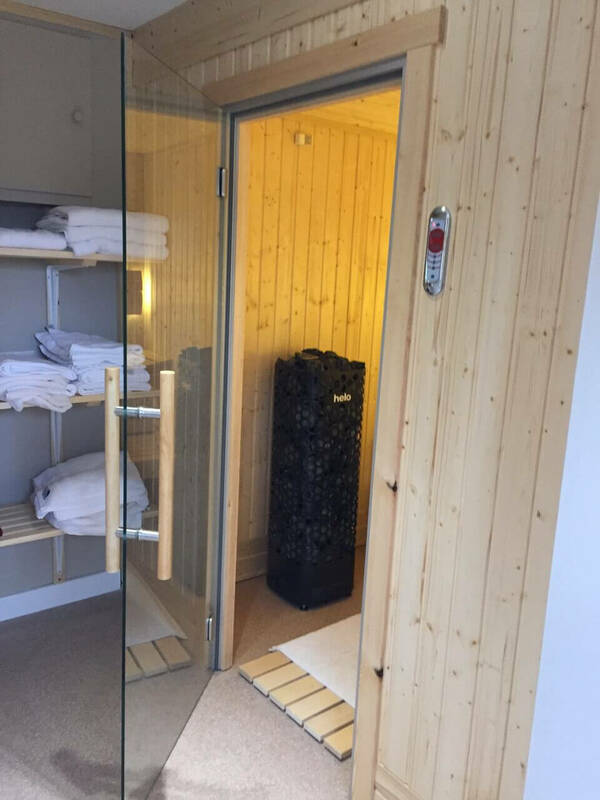 The studio has a tiled shower, sauna, entrance hall and a large area which is currently a chill out room but may become a gym. 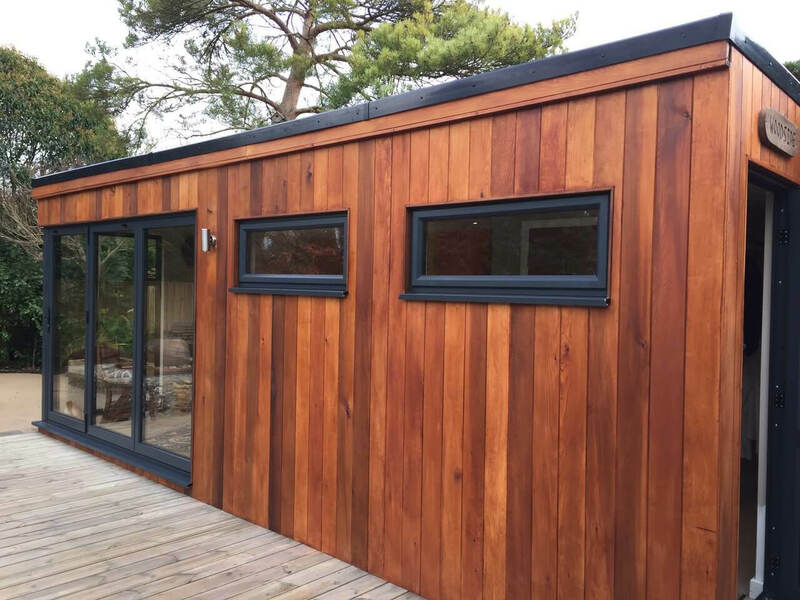 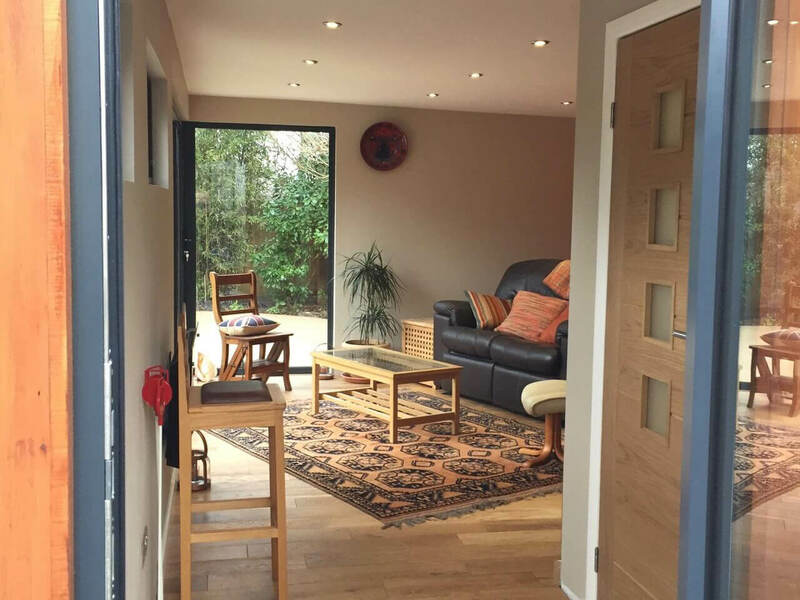 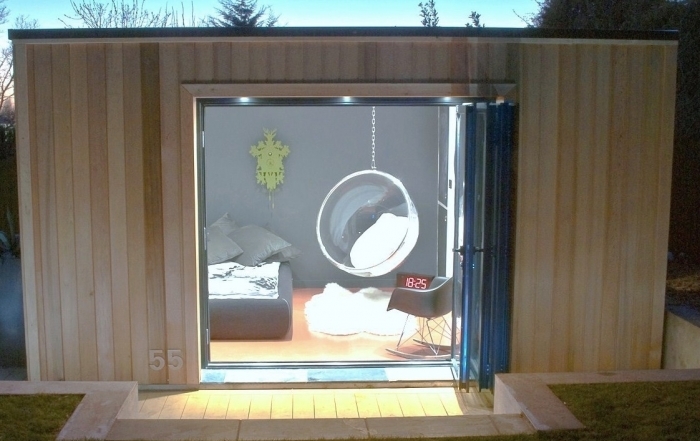 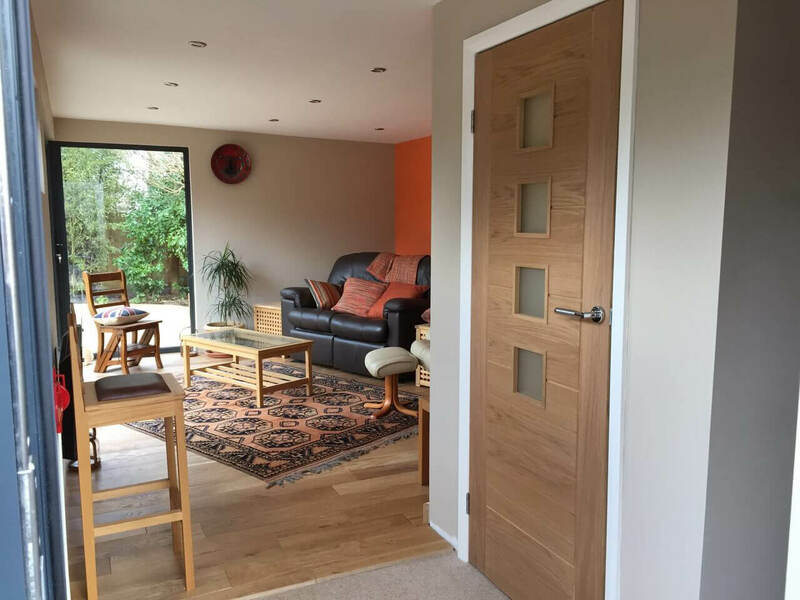 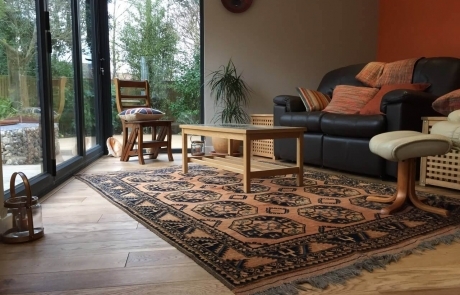 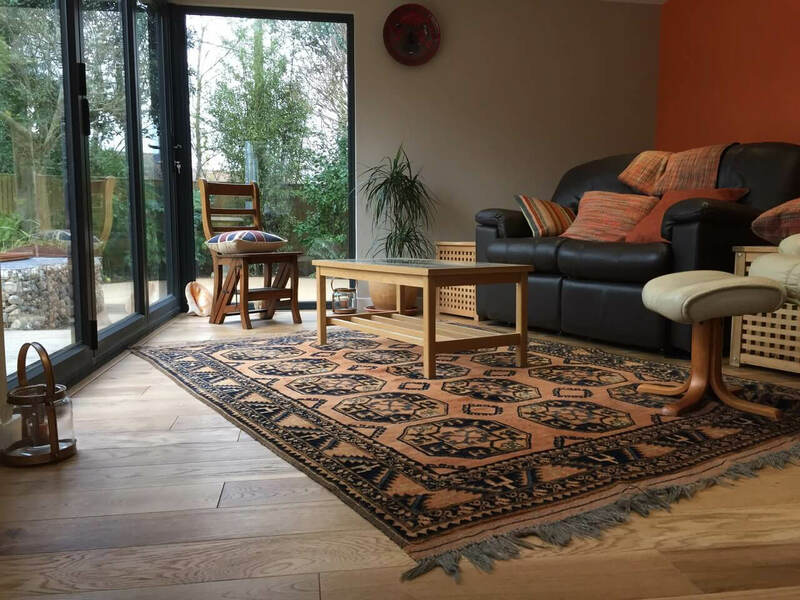 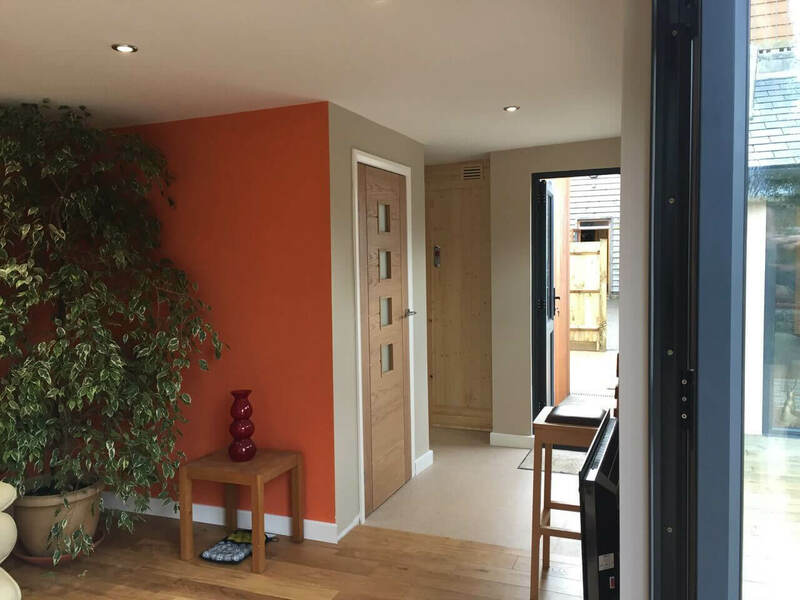 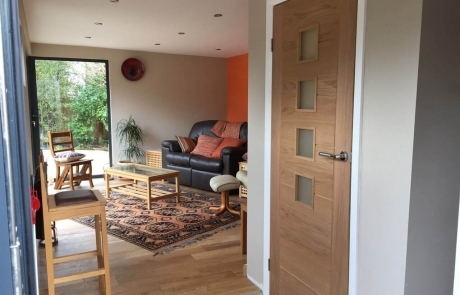 The studio has large bifold doors and full length corner window as well as side door and two opening picture windows. 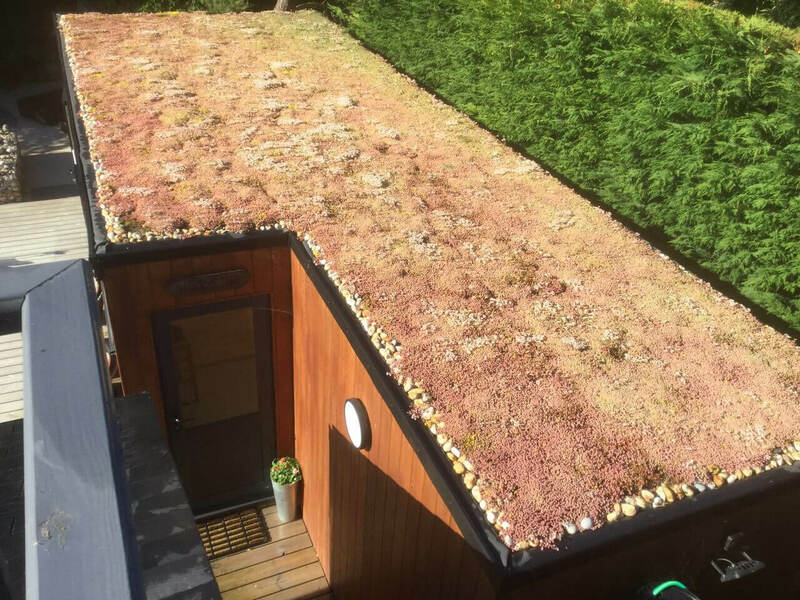 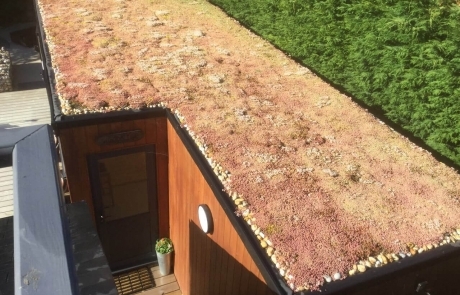 The roof is planted with sedum and wild flowers which, once grown, will cover the roof in beautiful colourful plants creating an oasis for bees and insects plus has the added benefit of additional insulation for the building.